Walker moves ahead on campaign promise to include drug testing requirements in his budget. 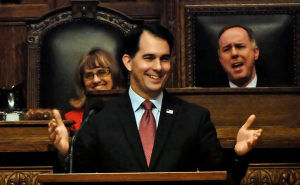 Governor Scott Walker’s 2015-2017 state budget plan includes a proposal to require drug testing of recipients or applicants of public benefits, such as unemployment insurance and FoodShare — Wisconsin’s food stamp program. Assembly Speaker Robin Vos (R-Burlington) says the testing is part of the “compassionate conservatives” agenda and he believes it’s widely supported by the public. Assembly minority leader Peter Barca (D-Kenosha) is “anxious” to see the proposal and to see just “how broad” it will be. Some argue drug testing would violate federal law. Walker says those who fail the drug test will be offered the opportunity to participate in a free drug treatment program and receive job training. 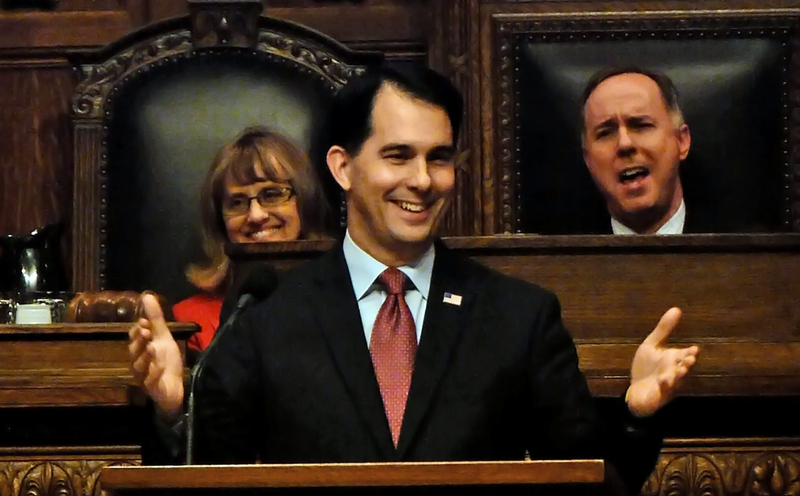 The potential 2016 presidential candidate will release full details of his two-year budget proposal on February 3, but Walker disclosed some details on Thursday. Walker points to employers for the drug requirement proposal, saying some employers in high-demand fields require their employees be drug-free for safety and other reasons. The governor also wants to reduce the length of time individuals can receive W-2 Welfare-to-Work benefits, saying it would encourage faster job placement.